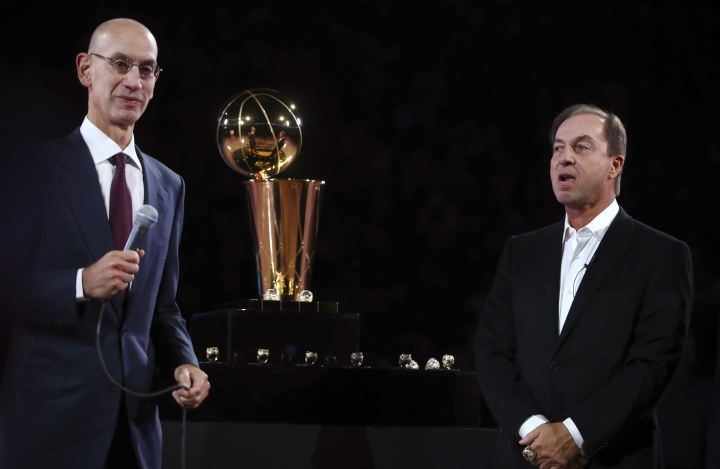 NBA Commissioner Adam Silver wants more women throughout the league. He's getting his wish. 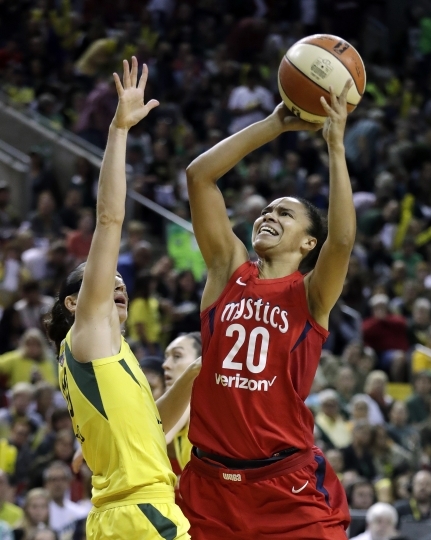 In recent days, two significant moves were made, with Kristi Toliver being added to Washington's staff of assistant coaches, and Chasity Melvin getting hired as an assistant coach with Charlotte's G League affiliate in Greensboro, North Carolina. They're all signs of progress. 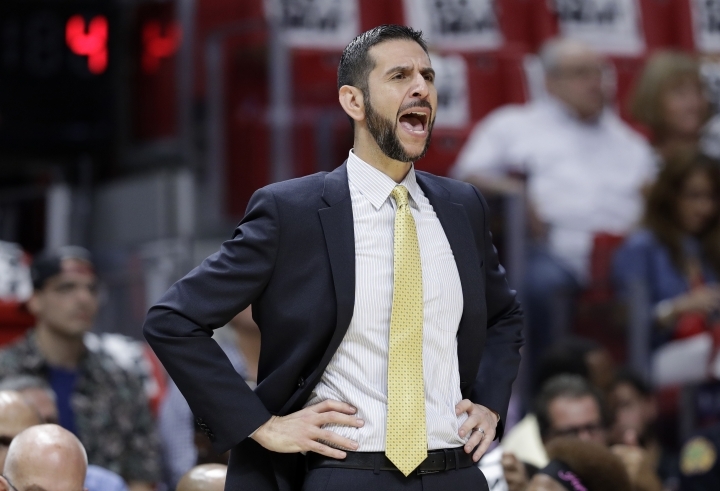 "I think it's great and I think it's great for the NBA," said Charlotte's James Borrego, the league's first Hispanic full-time coach. "It speaks to our league, the diversity, the openness, the inclusion and I'm proud to be part of that, part of a league that's open to that. I've been around Becky Hammon for a number of years now. These are bright women that belong in our league." Certainly, there's much more progress to be made, including in business offices around the league — as well as on the sidelines. There's never been a female NBA head coach, though Hammon — a longtime part of the staff in San Antonio, where Borrego was before taking the Charlotte job — seems on the cusp of breaking that glass ceiling. Only three women have been hired as full-time NBA referees, though Natalie Sago and Ashley Moyer-Gleich will debut on Monday and are already highly respected by many peers. "They're here to stay," Borrego said. "That's not going anywhere. It's only going to trend in that direction." If you think there's been a lot more scoring than usual in the NBA this season, you're right. Granted, six days of basketball is a small —and statistically insignificant— sample size in a six-month season. But teams averaged 106.3 points per game last season, and they're off to an average of 113.3 points so far this season. Should that average somehow hold up over the course of a full season, it would be the league's highest since teams averaged 116.7 points in 1969-70. "This is a new age of basketball and this is where we are," Dallas coach Rick Carlisle said. "The days of games in the 80s are probably done. Everything's spread out. It's freedom of movement. There's four attackers and often times five 3-point shooters and there are missiles flying everywhere." For perspective: There were eight instances in October 2017 of teams scoring 130 or more points. So far in October 2018, there's been nine — with 10 days of play left this month. But big numbers hasn't meant every game is a rout. There's already been 12 games this season decided by three points or less. Over the next few weeks, more details will likely come out about the G League's plan to offer $125,000 contracts to elite prospects who aren't yet eligible for the NBA draft. Much of the details remain unclear: who will get them, how they'll get them, how many deals will be offered. What would make the most sense is for the G League to go back into the NBA's past for an answer there. The last territorial pick in the NBA was in 1965, but that's the road the G League needs to go down now. For a league that's still looking to grow, imagine the possibilities of putting a potential star with plenty of potential near his hometown. It'll generate interest, which the G League surely could use. — Knicks at Heat, Wednesday: New York's David Fizdale coached on the Miami side of the rivalry for years as a Heat assistant. — Lakers at Spurs, Saturday: LeBron James' teams are 5-1 when he scores at least 30 at San Antonio, and 1-14 when he doesn't. Spurs coach Gregg Popovich enters this week two wins shy of 1,200 for his regular-season career. He'll be the fifth NBA coach to reach that milestone.